You know how you have friends that, for one reason or another, always end up coming to your house or going out near where you live? Usually it is because you (read: me) are really lazy and don’t want to drive far, or at all. I have a number of friends that fall into this category,and they don’t mind, generally because I cook them a good meal when they do come over. Last week I broke the trend and headed over to see friends that live near Brickell in Miami. 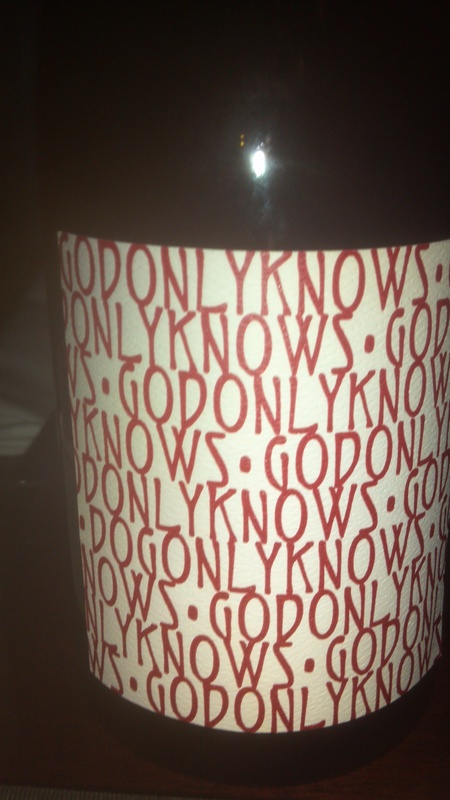 friends brought a bottle of Cayuse, God Only Knows, a 2008 Grenache, which I loved. 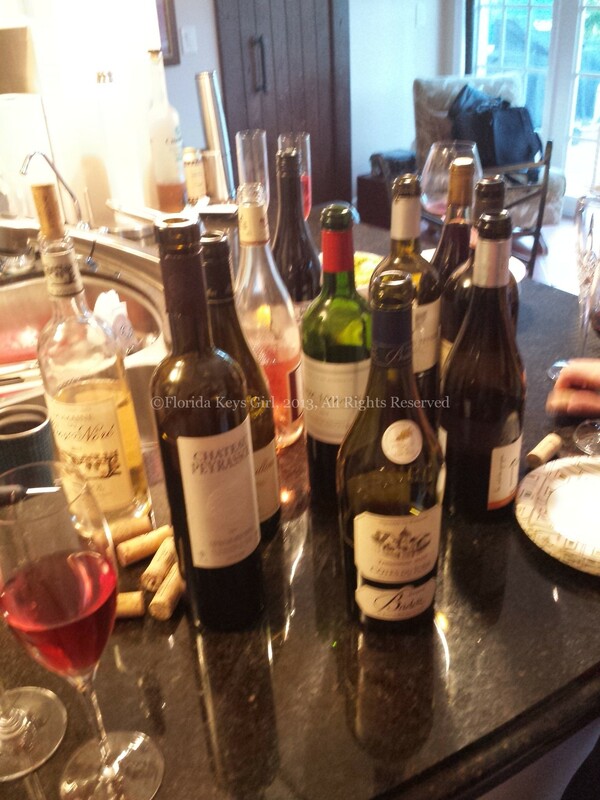 We brought a bottle 2001 E. Guigal Chateauneuf du Pape, that another friend had brought to our house recently. Three of my favorite words: Porcini. Ravioli. Cream. was so sweet and delicious that I used the rest for my bread. 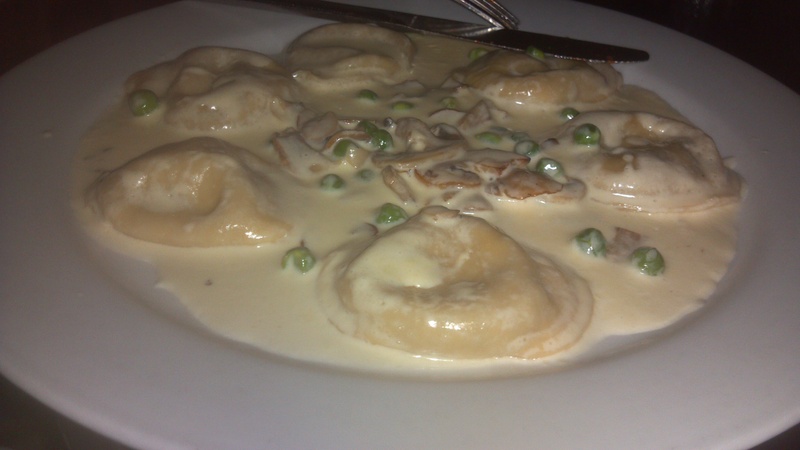 FKGuy and I shared the ravioli special, porcini stuffed ravioli in a cream sauce. Pretty much any time I see the word porcini on a menu, I am ordering, especially if it also involves cream. I was not disappointed. We also shared a pizza with gorgonzola (yet another one of my favorite words.) 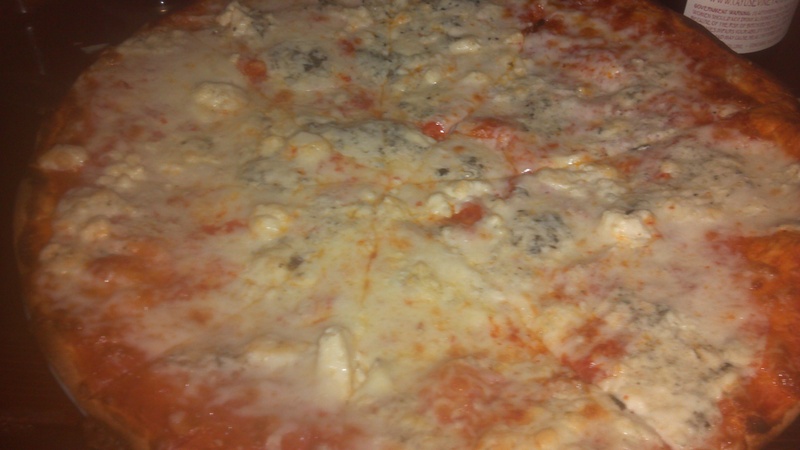 The pizza was crispy, saucy and topped with tangy, delicious gorgonzola cheese. I could have that pizza every day. friends that eat there all the time that it was unusual. Normally they are more attentive. It could have had something to do with the fact that we insisted on sitting in the back room and were the only ones there. 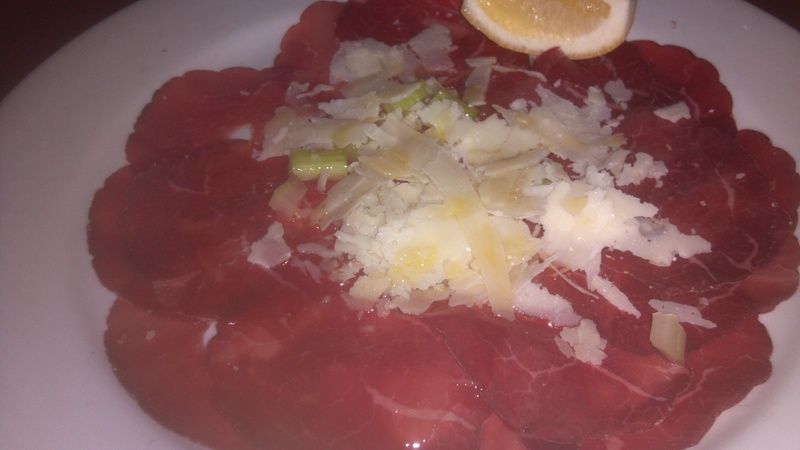 If you are in the Brickell area, I highly recommend Rosinella, especially when compared to their pricey neighbors. 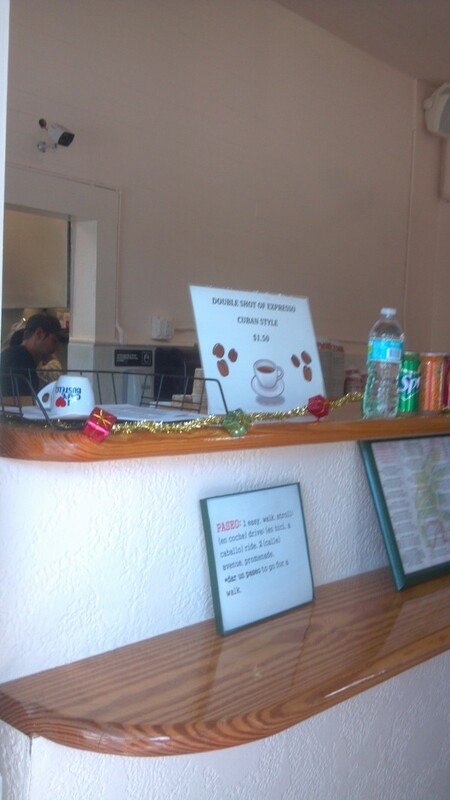 Rosinella is located at 1040 South Miami Avenue, Miami.